clear skies, sunshine and a light wind that built from just 6 knots in the morning to more than 16 over the course of the day. 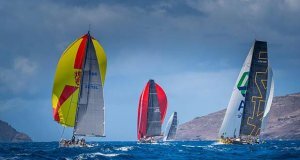 Ideal conditions for a regatta that gathers as many professional sailing teams as passionate amateurs in Porto Cervo, every two years, for an unmissable event. This 20th edition hosts 110 Swan yachts from 17 nations. The event is organised by the Yacht Club Costa Smeralda in collaboration with Nautor’s Swan and with the support of title sponsor Rolex. The One Design classes – the ClubSwan 50, ClubSwan 42 and Swan 45 – completed three windward-leeward races on the same regatta course with staggered starts for each group. The third race for the ClubSwan 42 class was cancelled on the last downwind leg due to a drop in wind caused by a thermal breeze from the south meeting the mistral and creating a windless pocket. Among the 12 ClubSwan 50s, OneGroup (today 1 – 3 – 6), with Kiwi tactician Cameron Dunn, returns to the top of the provisional classification in this first world championship for the class ahead of Mathilde (10 – 1- 4), on equal points with Cuordileone in third place overall and who recovered from a poor start to today to post a 9 – 4 – 2 scoreline. 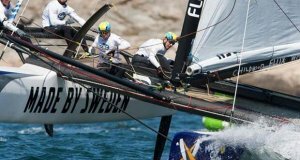 The 14 ClubSwan 42s, fighting for their European championship, were dominated by Mela, helmed by owner Andrea Rossi and with Enrico Zennaro on tactics. Posting 4 – 2 today, Mela is now nine points ahead of Spain’s Pez de Abril in second place. In third is Selene Alifax, winner of today’s second and final race of the day. All of the other classes sailed a coastal course of 28.4 miles for the Swans in the Maxi division, and 25.3 for the Grand Prix division and the S&S Class. The fleet rounded the La Maddalena archipelago anticlockwise before returning to Porto Cervo via the Passo delle Bisce strait. In the 18-yacht Maxi fleet, the Swan 62FD Biancospino owned by Bembo-Ruffini, with tactician Pietro D’Alì, triumphed ahead of the 651 Lunz am Meer, a great result for the classic Frers’ designed boat. 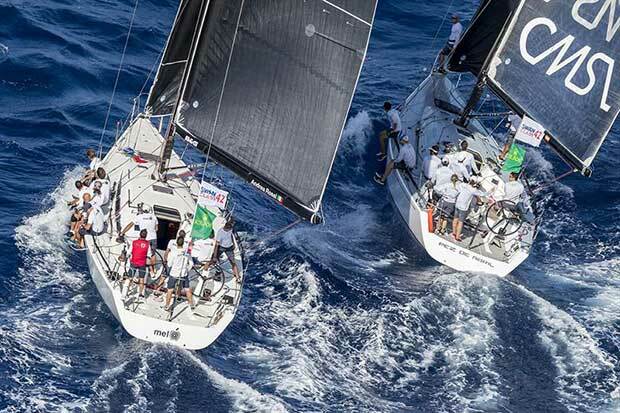 Third was the Swan 601 Flow – second in the provisional overall ranking – followed by the Swan 80 Plis-Play which maintains the overall lead in the class. Marietta Strasoldo, owner of Lunz am Meer: “We knew that today could be our day because the boat sails best in brisk winds. 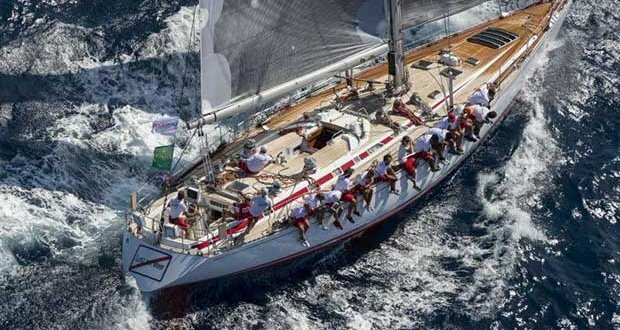 In the Grand Prix division, counting 22 yachts, the Swan 53 Solte won today’s race to break the tie and take the lead in the general classification ahead of the Swan 53 Crilia and Coratge. The Swan 65 Shirlaf, owned by Giuseppe Puttini, claimed victory in the Sparkman & Stephens class ahead of the Swan 57 Equinoccio and the Swan 65 sloop Six Jaguar – still the leader of the overall standings, but by just two points ahead of the two opponents who placed above them today.